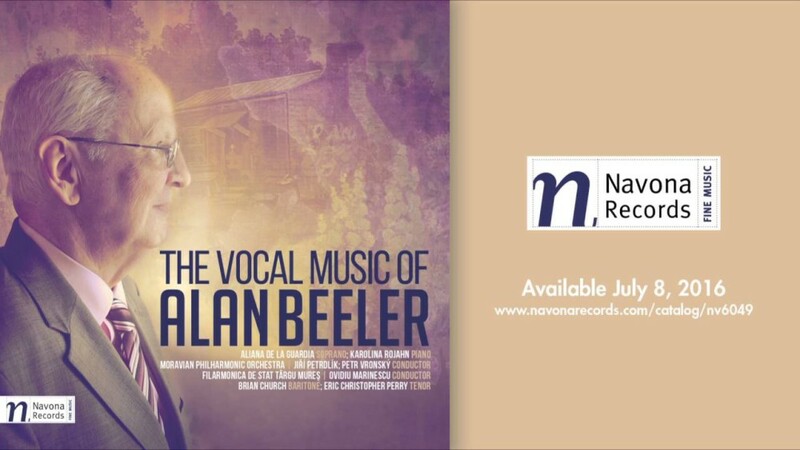 The music of Alan Beeler (1939-2016) is frequently a compact, tightly focused one, presenting sharp contrasts of color and mood in the context of clear, direct compositional structures. Although noticeably influenced by artistic movements in Europe and America during the first half of the 20th century, Beeler’s musical voice is an identifiable one – crisp, bold, and pointedly quirky. On this album pianist Karolina Rojahn and soprano Aliana de la Guardia perform THE SUTTON SONGS with poetry by Dorothy Sutton. Angular melodies and tart harmonies are effectively juxtaposed against gentle, lilting duets in this 7-movement work. Also on the album are the composer’s settings of the beloved JABBERWOCKY featuring baritone Brian Church and INHUMAN HENRY by A.E. Houseman for tenor and orchestra, featuring tenor Eric Christopher Perry. More information available and purchase information at navonarecords.com.